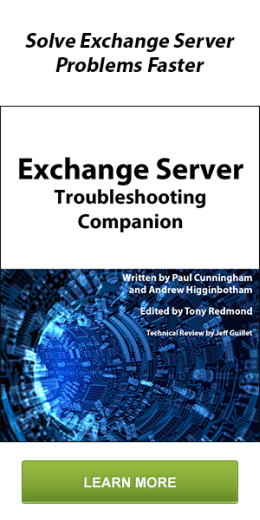 While most of my troubleshooting blogging gets recorded on Exchangemaster.Wordpress.com, my other blogging and various activities are a bit spread out. It was a busy 2015 for me so I thought I’d make a digest here of all my Exchange-related activities for the year. Continued moderation of the Exchange Server Subreddit which currently has 3.5k subscribers & ~30k page views per month.